As industry leaders in branded USB Flash Drives we pride ourselves in bringing our customers the very best that USB technology has to offer. So it’s with great pleasure that we’re now giving customers the option of choosing a USB 3.0 interface when ordering the following models: Event, Executive, Ink, Image, Kinetic, Nature, Pod, Pop and Twister. What is a USB 3.0? 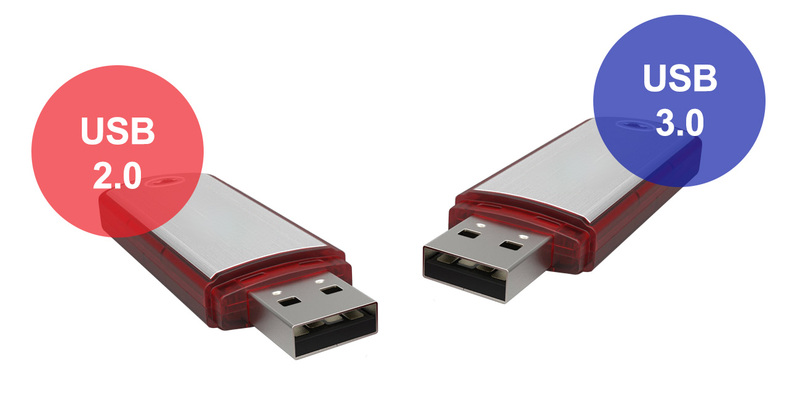 Most USB Flash Drives use 2.0 technology. The 2.0 specification has been around since 2002 and can transfer data at a maximum speed of around 480 megabits per second. The updated USB 3.0 specification supports data transfer at a staggering 4.8 gigabits per second. As such, the USB 3.0 is up to 10 times faster than USB 2.0 which translates into real-world performance advantages. Is the connector size different? No. USB 3.0 models will still plug in and work on the same port as USB 2.0 models use. The only key difference is the data transfer rate but to see the full benefits of this you need to use the drives with a modern computer equipped with USB 3.0 ports. As you can see, there is no difference in the connector size. How do I get USB 3.0 on my next order? We will continue to use USB 2.0 as the default option for all orders but if you’d prefer the USB 3.0 option or would like more information please ask your dedicated Account Manager. If you’d like a quote for branded USB Flash Drives for your next project please fill out our Quick Quote form today and you could have your customised drives within 6 working days.